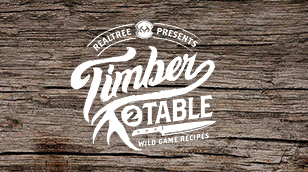 Michael Pendley is Realtree’s Timber 2 Table blogger. He grew up running wild and free in the Pond River bottoms of western Kentucky. He developed equal passions for hunting and food early in life and quickly learned to combine them by incorporating wild game meat into a variety of recipes. After college at the University of Kentucky, Michael and his wife Cheryl settled in the central Kentucky area where they are raising their three children to love the outdoor lifestyle as much as they do. They process their own game and use it frequently in the family’s meals. Michael’s love for food runs so deep that he nicknamed his youngest son Potroast at birth. Nine years later, the name still sticks. Michael freelances for several magazines and websites on the subjects of youth in the outdoors, wild game cooking and barbecue.